Reporter covering court in Cumberland and York counties, as well as Cumberland County government. Contact me at 717-255-8266 or smarroni@pennlive.com. Follow me on Twitter @SteveMarroni. (Yorkanna) — Staff Sergeant Christopher Slutman lived every boy’s dream. He was a New York City firefighter, and he was a United States Marine. He followed his childhood dreams. Slutman, 43, was one of three Marines killed Monday in Afghanistan by a roadside bomb. He and Sgt. Benjamin Hines, a 2006 Dallastown High School graduate, were part of the 25th Marine Regiment, 4th Marine Division, based in Harrisburg. Corporal Robert A. Hendriks, a reservist with the 2nd Battalion, 25th Marine Regiment in Garden City, N.Y., also died in the blast. Slutman was born in York County but grew up in Maryland. He lived in Newark, Delaware, with his wife, Shannon, and their three daughters. 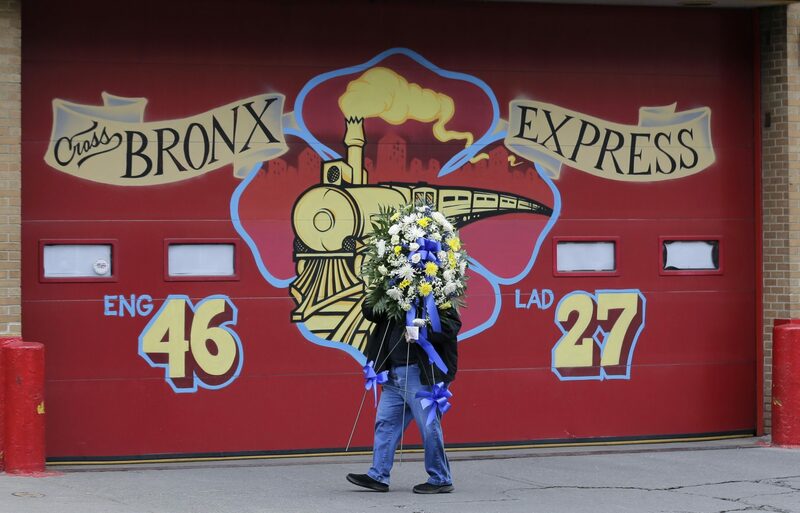 He was a Marine reservist and was a 15-year member of the Fire Department of the City of New York. It was a busy life of driving to the fire station for his shifts in the South Bronx, and then heading to Harrisburg for drill weekends before going home to Delaware to be with his family – and fight fires with the Kentland Volunteer Fire Department in Prince George County, Maryland. Fletcher Slutman and his wife, Mary, have six children, most of whom are in the military or are married to members of the military or became firefighters, or all of the above. It’s a family of service, and it certainly rubbed off on Christopher. “Christopher was a great son. He was a great father. Everything he did, he did well,” he father recalled. If Christopher was going to do something, he was going to be the best at it and give it his all, Fletcher Slutman said. When Christopher was a Boy Scout, he made it all the way up to the rank of Eagle. If he was going to fight fires, he was going to do it in New York City. And if he was going to serve in the armed forces, he would be nothing short of a U.S. Marine. But he also had a sense of humor. He listened to people, and he was patient. These qualities are likely what made him eligible for this particular deployment to Afghanistan, where he helped train NATO forces working in the war-torn country, his father said. Having previously been to Iraq, this was his first deployment to Afghanistan, where the U.S. Marines say he was part of the Georgia Deployment Program-Resolute Support Mission, a reoccurring, six-month rotation between U.S. Marines and Georgian Armed Forces that contributes to NATO operations in Afghanistan. Many members of his unit had already come home, and he was getting ready to return soon, too. But after a life of service, after a life of pursuing his dreams, it was a roadside bomb that took his life. Afghan security forces gather at the site of Monday’s attack near the Bagram Air Base, north of Kabul, Afghanistan, Tuesday, April 9, 2019. 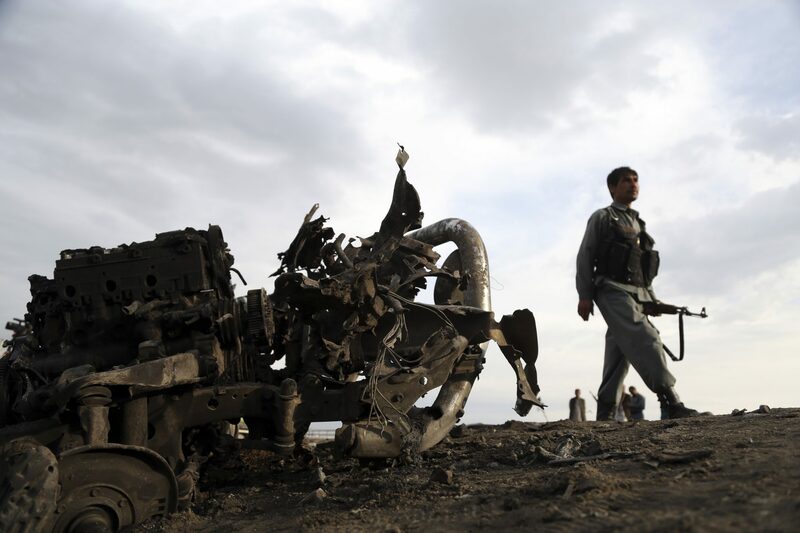 Three American service members and a U.S. contractor were killed when their convoy hit a roadside bomb on Monday near the main U.S. base in Afghanistan, the U.S. forces said. The Taliban claimed responsibility for the attack. And a parent’s worst nightmare came true. He led them inside, and one of the Marines just nodded his head. Yes. Christopher was killed in Afghanistan. His body will be returned home soon, and Christopher Slutman will be buried at Arlington National Cemetery. In New York City, Mayor Bill de Blasio said the city, and the country, lost another hero. “He did it,” his father said.